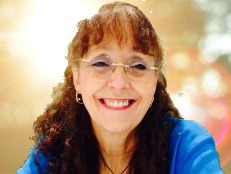 I'm Ruth, a natural psychic and have been since early childhood. I believe this has been passed down from my father's side of the family. I work with the traditional and angel cards, crystals, pendulum and guides. I use my tools to guide people through all kinds of situations and have throughout my years working as a reader! Just had a fantastic reading from Ruth I was using up my minutes so it was short. I will be back. She was spot on a about my daughter. I have had readings with Ruth for years she is compassionate, and trustworthy. She has helped me through a very difficult situation in the past and without her guidance, I really don't know how I would have got through that time in my life. I have recently returned for guidance as I have hit another time in my life that is really difficult and I need a friend to guide me. Thank you for everything Ruth, you truly are a friend to me. I had a reading with Ruth because my regular psychic was not available. She linked in to my energy immediately even although I was nervous about the reply to my question. She was very calming and gave me a balanced reading. Rather than just telling me all of the positive things she told me what to be careful of and what I would need to do to in the short term to get the outcome I wanted. She also told me a few reassuring things about a man that I am waiting for, without me asking. I would definitely recommend Ruth and would speak to her again. Love and blessings Ruth. I asked a straight question and she gave me a straight answer from which I could see tuned in. Thank you Ruth I hope your are right. Quick, fast and to the point. Get 15 minutes to speak to Ruth Vidente for just £4.99 (that’s a value of £22.50! )..